It’s been nearly six years since I bought this domain name and started writing about outdoor hockey, and along the way, your comments, emails, tweets, and Facebook comments have kept me going and helped me recognize the tremendous community we have here. And with our new book available in stores and online, it’s time to share the love! We’re giving away five copies of our new book, one each to five readers. You can enter four different ways, essentially giving you four “entries” into our random drawing at the end of the week. 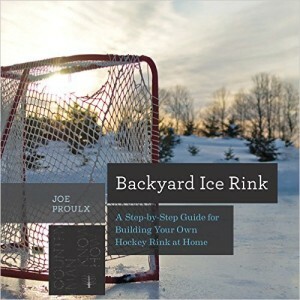 Visit and like our backyard-hockey.com Facebook page. Visit and like the book’s Facebook page. Tweet a message to your Twitter followers! We’re running this giveaway with Rafflecopter, and you can enter using their application below. The contest runs from today until Friday night at midnight, and books will be mailed next week. Good luck! 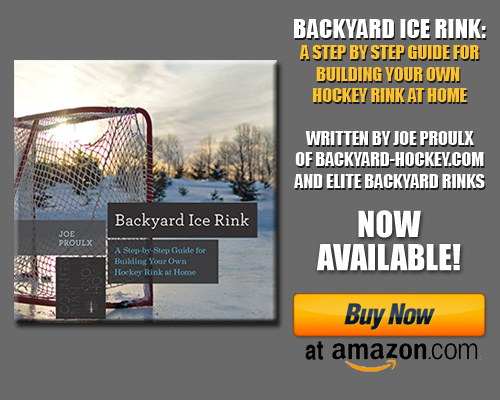 ← ‘Backyard Ice Rink’ – Officially Published! Want to build a better rink for my lil guy and his friends.